iPowerShell Changes: New platforms! Now FREE! 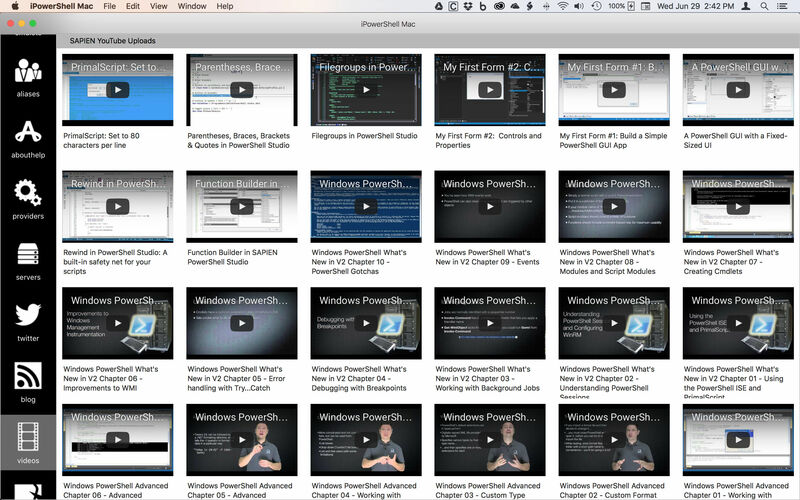 iPowerShell, our little iOS app, has come a long way over the years. It started out as simply a reference tool for PowerShell cmdlets, about_help and provider help. Over the years, we added YouTube videos, PowerShell Twitter posts, PowerShell Web Access, remote connectivity with PSWA and SSH, and a color coded editor. 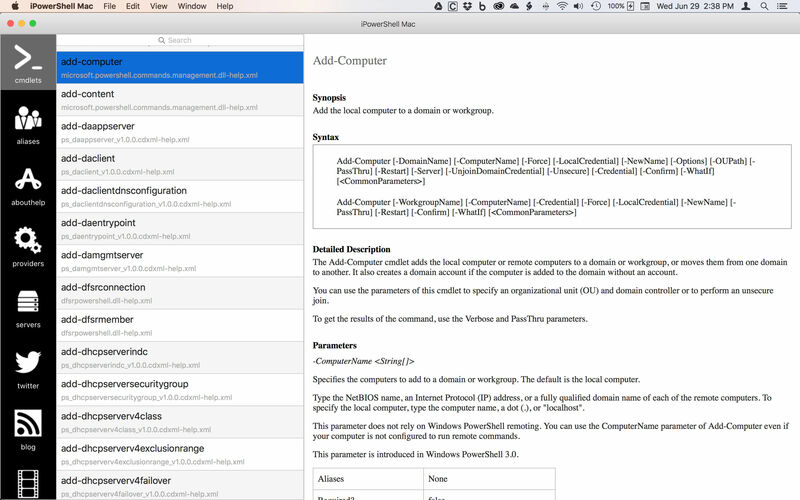 Today we announce iPowerShell for the Mac! This is a desktop application with most of the major features of its mobile sibling (we have not yet implemented the script editor). 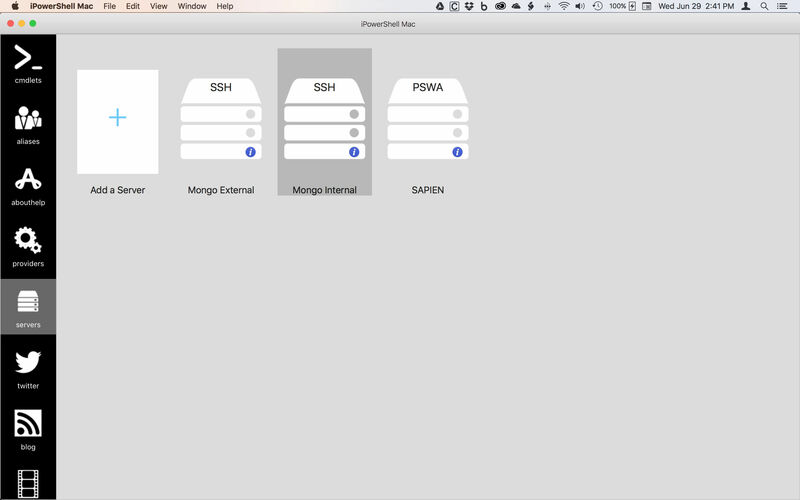 With this desktop application, admins can use their Macs to connect to PowerShell either through PSWA or SSH. The SSH connection delivers an interactive console feel with cmdlet completion and parameter suggestions. A History list is available simply by tapping the up or down arrow keys. The PSWA input line works similarly with cmdlet completion, parameter suggestions and history list. SSH to PowerShell with cmdlet completion and parameter suggestions. If you log into the same iCloud account, you can share your PSWA and SSH account logins and history files with your iOS devices. Share login connections with your iOS devices. Users can, of course, view cmdlet, about and provider help as well as aliases in a split pane view with formatted text. View cmdlet, about_help, alias and provider help in split pane view. The SAPIEN Blog, a PowerShell Twitter feed and PowerShell YouTube videos are also available at the click of a mouse. 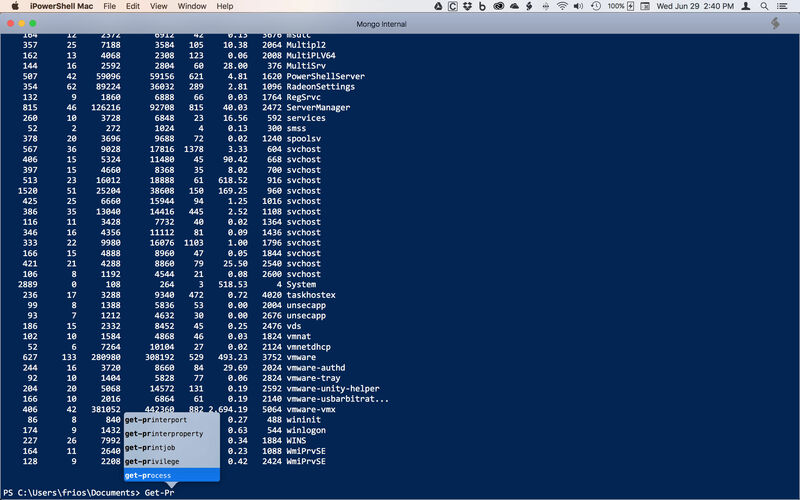 And the best thing about iPowerShell for the Mac is that its FREE! 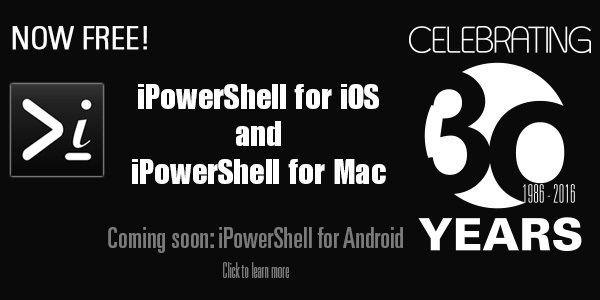 Oh and iPowerShell for iOS is now FREE as well! So if you have never downloaded the iOS app before, do so now. And if you use a Mac in your day-to-day admin work, give iPowerShell for Mac a try. What about Windows phone–does it surprise you that Windows admins like Powershell and are more likely than the general public to have Windows 10 Mobile? No surprise. But we have to take into account the effort and expense on our part and correlate that with the potential market. Not saying it won’t ever be done, just that its not on our to do list right now.